Kenyan officials claim to have received warnings from al-Qaeda and Somalia’s al-Shabaab movement that they intend to invade Kenya’s North Eastern Province to annex the region to Somalia and implement Shari’a law. Provincial Commissioner Kimeu Maingi expressed concern at the influx of small arms into the dominantly ethnic-Somali region and claimed that the recent kidnappings of Kenyan citizens at the border town of Mandera was intended to provoke a reaction from the Kenyan government. Maingi noted it was unjustifiable for provincial residents to keep demanding food aid from the central government when they are exchanging their livestock for arms, adding that the government had moved extra troops up to the border as part of its continuing disarmament campaign (Kenya Broadcasting Corporation, April 26). Foreign Affairs Assistant Minister Richard Onyonka declared al-Shabaab had little chance of carrying out its plan, stating, “Kenya is a sovereign country and no person or country will come and threaten the government. We have the capacity and ability to stave off any incursions from anybody else” (Capital FM Radio [Nairobi], April 27; Daily Nation [Nairobi], April 27). 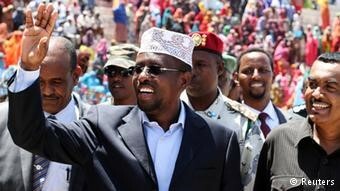 The Somali government of President Shaykh Sharif Shaykh Ahmad condemned the threats, noting al-Shabaab’s opposition to government efforts to implement shari’a in Somalia. Somali Minister of Commerce Abdirashid Irro Muhammad said, “Really, we are very sorry and we condemn such actions. Kenya is our neighbor state and our brotherly country, and they have their own constitution. So there is no reason that al-Shabaab should attack them and endorse the Shari’a law… They are getting orders from the outside Islamic world and really they are not interested whether we will implement the Shari’a law or not” (VOA, April 28). So far, al-Shabaab has not commented on the alleged threats, nor has the Kenyan government released the text of the warning. The chairman of al-Shabaab’s “Islamic administration” in Gedo, Shaykh Isma’il Adan Haji, recently attacked the government’s introduction of shari’a, describing it as an “apostate regime’s” unacceptable attempt to “dupe the people” (Shabelle Media Network, April 26). Kenya has received threats from al-Shabaab before, in connection with its provision of military training for Somali government troops, its practice of extraditing Somali nationals to Ethiopia for questioning by U.S. intelligence services and its declared intention to send a battalion of Kenyan troops to join the undermanned African Union Mission in Somalia (AMISOM). Fighting between ethnic Somali clans in the Mandera region of Kenya’s North-Eastern Province intensified last fall. Kenyan intelligence sources claimed that the arms and funding that the rival groups were receiving from allies across the Somali border constituted a threat to national security (NTV [Nairobi], October 30, 2008). An important interview with senior Taliban spokesman Zabihullah Mujahid attracted little attention in Western media despite indications in the interview of several important new directions in Taliban policy (Afghan Islamic Press, April 21). Most notably, Zabihullah appeared to distance the Taliban movement from al-Qaeda. Repudiating the suggestion that the resistance in Afghanistan was led by al-Qaeda rather than the Taliban, Zabihullah declared; “The ongoing resistance against the foreigners in Afghanistan is a pure Afghan resistance. The commanders and leaders of this resistance are Afghans and everything to do with this struggle is led by Afghans… The leader of our resistance is known and he is Mullah Omar Mujahid. 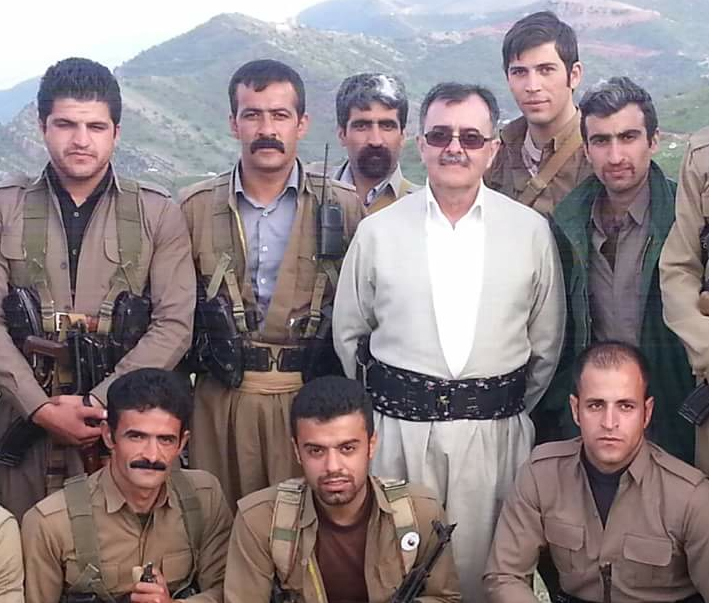 Local commanders in each and every province and region are known.” Western media and governments have long regarded the two movements as inseparable. The Taliban spokesman said that suicide bombings would play an important part in the Taliban’s offensive in northern Afghanistan. The expansion of the war to northern Afghanistan will help nullify the impact of the influx of new American troops to Afghanistan while relieving pressure on Taliban operations in other parts of the country. Suicide bombers will also play a role in disrupting the upcoming national elections. During the month of April there were a number of suicide bombings and ambushes of national security forces in the previously secure northern provinces of Balkh, Kunduz, Samangan and Baghlan (Cheragh [Kabul], April 21, Afghan Islamic Press, April 12; Voice of Jihad, April 12, April 19). In a statement delivered on Saudi Arabia’s state-owned Al-Ikhbariyah TV, a former leading member of al-Qaeda in Yemen, now in detention in Riyadh, described the revised tactical and strategic approach taken by al-Qaeda in the Arabian Peninsula, a new organization that combines the Saudi Arabian and Yemeni branches of al-Qaeda (Al-Ikhbariyah TV, March 27). Captured in Afghanistan in 2001, Abu Hareth Muhammad al-Awfi was detained as an enemy combatant in Guantanamo under the name Muhammad Atiq Awayd al-Harbi (prisoner no. 333). In November 2007, al-Awfi was transferred to Saudi Arabia, where he entered the Counseling Program run by Saudi Arabia’s Advisory Committee responsible for the rehabilitation of Islamist extremists. Shortly after entering the program, al-Awfi fled Saudi Arabia along with Sa’id Ali al-Shihri “Abu Sayyaf,” another former Guantanamo Bay prisoner who was transferred to Saudi custody at the same time as al-Awfi. Al-Shihri became the deputy leader of al-Qaeda in Yemen and is a suspect in last September’s car-bombing outside the American Embassy in Sana’a that killed 16 people. The two men headed for Yemen, mainly because it was accessible in comparison to Iraq or Afghanistan. In January, al-Awfi appeared in a 19-minute video with three other al-Qaeda leaders to announce the unification of the Saudi Arabian and Yemeni chapters of al-Qaeda in a new organization, al-Qaeda in the Arabian Peninsula. 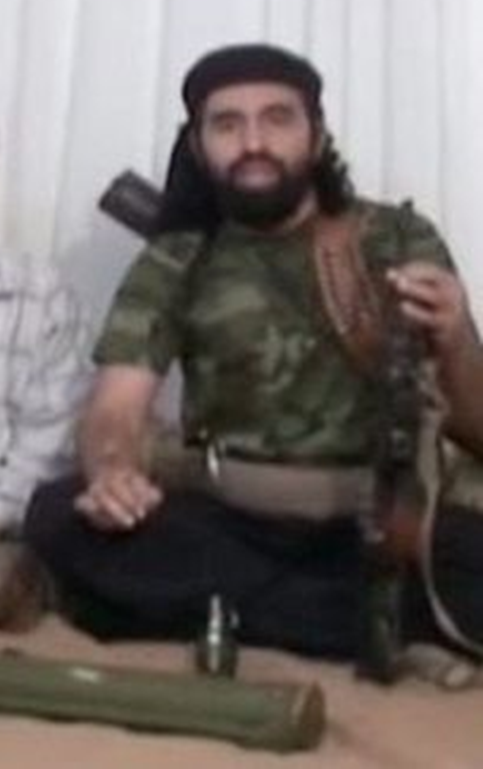 Others in the video included Sa’id al-Shihri, Qasim al-Rimi “Abu-Hurayrah” (military commander) and Abu Basir Nasir al-Wuhayshi, the group’s leader (Al-Malahim Establishment for Media Production/al-Fajr Media Center, January 24). Aside from issuing warnings to the “Crusader states” and the Saudi security services, al-Awfi warned “the brothers in prison” against participating in the Saudi rehabilitation program, run by “the ignorant oppressor Muhammad bin Nayif” and “the liar Turki al-Uttayan.” He accused the latter of heading a “psychological investigations delegation” to Guantanamo to help extract confessions from prisoners there. Al-Awfi now maintains he did not want to appear in the January 24 video and argued with the leadership over this issue. Eventually he was ordered to appear in a certain place to make the video, but objected to the message he was told to read. Al-Awfi, who claims the message did not represent his viewpoint or ideas, was told to read it without changes because the wording in the message was carefully chosen. After careful reconsideration of the takfiri approach taken by his al-Qaeda colleagues, al-Awfi crossed back into Saudi Arabia and surrendered himself to authorities in mid-February after first contacting a shaykh at the Advisory Committee (YemenOnline, February 17). According to al-Awfi, the organization decided on a major change in tactics and strategy, moving away from the methods of former Saudi Arabian al-Qaeda leader Abd al-Aziz bin Abd al-Muhsin al-Miqrin (killed June 18, 2004 after overseeing a number of terrorist blasts and kidnappings). The group’s assessment of al-Miqrin’s campaign declared al-Miqrin had blundered by concentrating his forces in Riyadh. In the new strategy al-Qaeda would mount attacks in Saudi Arabia from bases in Yemen, leaving only a small group of 30 to 40 individuals in the southern mountains of Saudi Arabia to carry out small-scale operations such as assassinations and sniping attacks. For major operations, a reconnaissance and surveillance team would enter Saudi Arabia to collect detailed intelligence before returning to their base in Yemen, where the operation would be carefully planned. After a major strike the attackers would slip back across the border into Yemen, exhausting Saudi security forces in a fruitless search within Saudi Arabia. Training was to be aimed at producing fighters who could operate on various fronts, including guerrilla fighting, mountain warfare and jungle fighting (Al-Ikhbariyah TV, March 27). The sincerity of al-Awfi’s latest act of repentance was questioned by some in Saudi Arabia; one daily newspaper asked, “How much can we trust Muhammad al-Awfi? … It is an embarrassment when terrorists continue to fool us with naïve justifications and stories, then try to destroy us once more” (Jedda al-Madinah, March 30). Noting his rejection of takfiri ideology, a Saudi economic daily noted: “We hope what al-Awfi has revealed would serve as a clear message to those who might think that al-Qaeda was an organization that seeks jihad in the name of God” (Al-Iqtisadiyah, March 28). A former member of the Islamic Movement of Uzbekistan (IMU), Abubakr Xoldorovich Kenjaboyev, appeared on state-owned Uzbek TV on March 30 to describe the decline of the once powerful IMU. Kenjaboyev identifies himself as an ideological leader who joined the IMU in 2000 and later left the Waziristan-based group to form a new group opposed to the leadership of IMU co-founder Qari Tahir Yuldash. Since its move to Pakistan’s northwest frontier in late 2001, the IMU has steadily lost its political significance and is further away than ever from its goal of establishing an Islamic Caliphate in Central Asia. Stranded in a strange and foreign land with little more than Islam in common with the local peoples, the IMU has been unable to conduct operations in Central Asia and has likewise failed to integrate itself into the local Taliban movement and join the jihad in Afghanistan or Pakistan in any meaningful way. 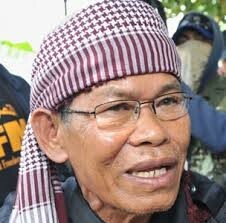 Lacking purpose, some of the exiled fighters have turned to crime, including those who hire themselves out as assassins. Although they continue to find hospitality from some tribal elements in North Waziristan, the Uzbek militants have suffered steady attrition in numbers from attacks by tribal lashkar-s and government security forces. Any interview with an IMU militant on state-controlled Uzbek TV is bound to have occurred under strict political supervision. In this sense the content may be less revealing than the decision to bring it to air. The interview may be seen as an acknowledgement by Tashkent that the IMU is no longer an immediate threat to Uzbekistan, a position that was previously maintained by authorities for political reasons. The split between Somalia’s al-Shabaab militant group and the Islamists who have joined the new Somali government continues to deepen, as demonstrated by the fifth issue of al-Shabaab’s Millat Ibrahim magazine, which appeared on various jihadi websites on March 4. The issue contains a number of articles critical of former Islamic Courts Union Chairman Shaykh Sharif Shaykh Ahmad, the new President of Somalia. 2/ The appointment of Shaykh Sharif as leader and the withdrawal of the Ethiopian invaders will remove the raison d’etre of al-Shabaab. 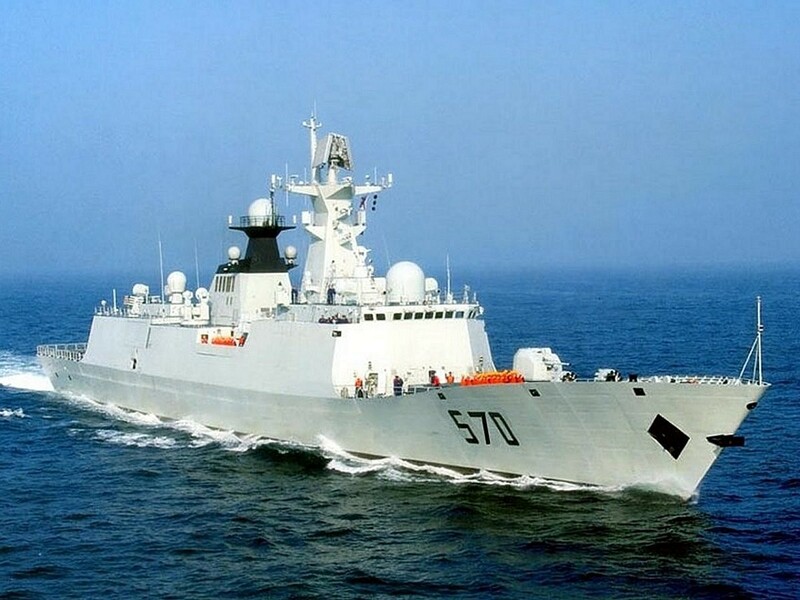 3/ The elimination of piracy on the Somali coasts, which al-Sudani notes will remove a threat which has caused “excessive losses” to the Crusaders and their apostate supporters. Shaykh Sharif also comes under severe criticism for fleeing Somalia when the Ethiopians invaded in December 2006 and is accused of negotiating with the “enemies” and receiving their financial support during his absence from the battlefield. A number of other topics are examined in Millat Ibrahim. A “Message to Gaza” calls on Palestinians to use Somalia as a base for the liberation of Jerusalem. Other articles describe the gentle behavior of a mujahid and provide an analysis of the reasons behind the withdrawal of the Ethiopian military from Somalia. There is also a transcript of a February speech on Somalia by al-Qaeda strategist Abu Yahya al-Libi (the organization’s point-man on Somali issues) and a selection of quotations on jihad by the “martyr Abu Musab al-Zarqawi,” the late leader of al-Qaeda in Iraq. Taliban Deputy Leader Mullah Bradar Muhammad Akhand announced “a new series of operations” under the code name “Operation Ebrat” (Lesson) on March 27. The Taliban’s spring offensive is “aimed at giving the enemy a lesson through directing powerful strikes at it, which it can never expect, until it is forced to end the occupation of Afghanistan and withdraw all the occupier soldiers… We will add to the tactics and experiences of the past years new types of operations. The operations will also be expanded to cover all locations of the country, in order for the enemy to be weighed down everywhere” (Sawt al-Jihad, March 28). There are indications that a main target of the offensive will be the Afghanistan/Pakistan frontier, in particular the strategically vital Khyber Pass. Citing an improvement in the skills and capacity of the Afghanistan National Army (ANA), Afghanistan’s Defense Ministry immediately dismissed the announcement as “a psychological campaign and not a reality which could be implemented on the ground” (AFP, March 25). In reality the situation along the border is extremely precarious and threatens the ability of Coalition forces to operate within Afghanistan. The first in a planned series of six joint intelligence centers along the Afghanistan/Pakistan border was opened at the Afghanistan border town of Torkham on March 29. When the plan is fully implemented there will be three such centers on each side of the border at a cost of $3 million each. There are high hopes for the centers, which have been described by the U.S. commander in Afghanistan as “the cornerstone upon which future cooperative efforts will grow” (Daily Times [Lahore], March 30). According to U.S. Brigadier General Joe Votel, “The macro view is to disrupt insurgents from going back and forth, going into Afghanistan and back into Pakistan, too. This is not going to instantly stop the infiltration problem, but it’s a good step forward” (Daily Times, March 30). The centers are designed to coordinate intelligence gathering and sharing between the NATO-led International Security Assistance Force (ISAF) and the intelligence agencies of Afghanistan and Pakistan. The project is an outgrowth of the earlier Joint Intelligence Operations Center (JIOC) established in Kabul in January 2007. This center, comprising 12 ISAF, six Afghan and six Pakistani intelligence officers, was initiated by the Military Intelligence Sharing Working Group, a subcommittee of the Tripartite Plenary Commission of military commanders that meets on a bimonthly basis (American Forces Press Service, January 30, 2007). The JIOC is designed to facilitate intelligence sharing, joint operations planning and an exchange of information on improvised explosive devices (IEDs). The working languages are English, Dari and Pashto, aided by a number of translators. The new border centers will each be manned by 15 to 20 intelligence agents. One of the main innovations is the ability to view real-time video feeds from U.S. surveillance aircraft. The commander of U.S. troops in Afghanistan, Major General David Rodriguez, described the centers as “a giant step forward in cooperation, communication and coordination” (The News [Karachi], March 29). Despite such glowing descriptions, there remains one hitch—Pakistan’s military has yet to make a full commitment to the project. According to Major General Athar Abbas, the director general of Pakistan’s Inter-Services Public Relations, a military information organization, “At this time this proposal is being analyzed and evaluated by the concerned officials. But Pakistan has not yet come to a decision on this matter” (The News, March 30). General Abbas and other officials have declined to discuss Pakistan’s reservations or even to commit to a deadline for a decision. It is possible that the failure to sign on as full partners in the project may have something to do with the stated intention of Pakistan’s new prime minister, Yousaf Raza Gilani, to pursue a greater focus on negotiation than military action in dealing with the Taliban and other frontier militants. There may also be reservations on the part of Pakistan’s Inter-Services Intelligence (ISI) to share intelligence on their clients within the Taliban. Actual intelligence cooperation along the border is hampered by a number of factors, not least of which is a basic inability to agree on exactly where the border lies. In the past, Pakistan has responded to complaints from Afghanistan of Taliban fighters infiltrating across the border by threatening to fence or even mine the frontier, a shocking proposal to the Pashtun clans that straddle the artificial divide. Afghanistan’s long-standing policy is simply to refuse recognition of the colonial-era Durand Line, which it claims was forced on it by British imperialists in 1893. Pakistan accepts the Durand Line, but the two nations are frequently unable to agree on exactly where the 1,500-mile line is drawn. U.S. Intervention in the Frontier Region? The United States is pursuing a number of initiatives to increase security and diminish the influence of the Taliban in the frontier regions of Pakistan, including a massive economic aid program, counter-insurgency training for the Frontier Corps and enhancement of the CIA’s monitoring and surveillance abilities in the area (Dawn [Karachi], February 26). The CIA already gathers information on the region from over-flights of its unmanned Predator surveillance aircraft, which can also deliver precisely targeted missiles on suspected Taliban safe-houses. Complicating efforts to increase security in the border region is a belief within Pakistan that the United States is preparing to intervene militarily in Pakistan’s frontier region (The Nation [Islamabad], March 24). In a March 30 interview, CIA Director Michael Hayden declared that the Afghanistan-Pakistan border region would be the most probable source for new terrorist attacks on the United States: “If there is another terrorist attack, it will originate there.” The CIA chief warned that the situation along the border “presents a clear and present danger to Afghanistan, to Pakistan, and to the West in general and to the United States in particular.” Hayden also suggested that Osama bin Laden and Ayman al-Zawahiri were present in the Pakistan tribal frontier, where they were training “operatives who look Western” (NBC, March 30; Dawn, March 31). A spokesman for Pakistan’s Foreign Ministry responded angrily to the CIA director’s comments, stating that if the United States has information about the whereabouts of the al-Qaeda leadership, it should share it with Pakistan so it can take action. “Such a statement does not help trace alleged hideouts… Terrorists have threatened Pakistan and targeted our people. We are, therefore, combating terrorism in our own interest” (Daily Times, April 3). Syed Munawar Hasan, leader of the Jamaat-e-Islami, Pakistan’s largest Islamic political party, suggested that Hayden’s statements were “white lies,” similar to Washington’s allegations of weapons of mass destruction in Saddam Hussein’s Iraq. Munawar urged the new government to stand fast in the face of what he described as U.S. threats to invade Pakistan despite the establishment of a democratic government (The News, April 2). The provincial assembly of the North-West Frontier Province issued a unanimous condemnation of Hayden’s remarks (The Post [Lahore], April 2; Geo TV News, April 1). The location of the first joint intelligence center at Torkham reflects the strategic importance of this border town at the Afghanistan end of the fabled Khyber Pass. It is the main gateway for supplies to U.S. and ISAF forces within Afghanistan and is believed to be one of the main targets for the forthcoming Taliban spring offensive (The Nation, April 2). 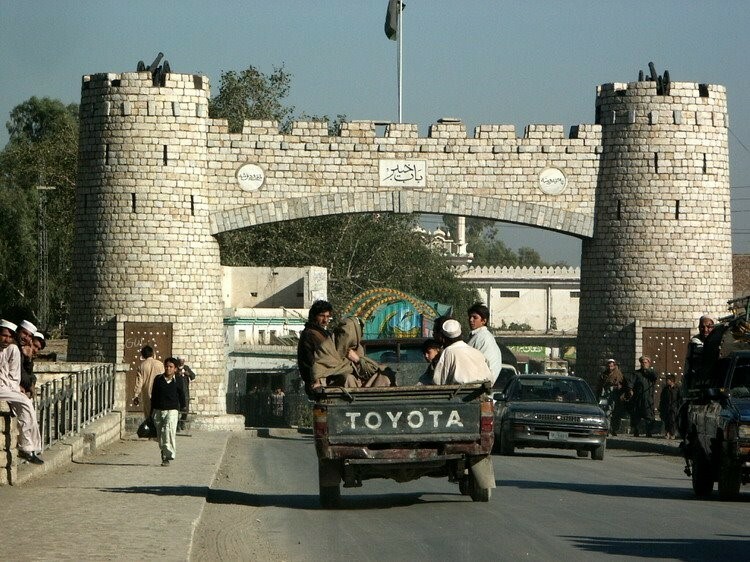 Linking Afghanistan’s Nangarhar Province and Pakistan’s Khyber Agency, Torkham is traditionally the busiest commercial border post between the two countries. A new round of attacks on Torkham may have already begun—as many as 40 oil tankers destined for Coalition forces in Afghanistan were destroyed in a series of explosions in a Torkham parking lot on March 20 (Dawn, March 24). There were 70 to 100 tankers awaiting clearance to cross into Afghanistan at the time. 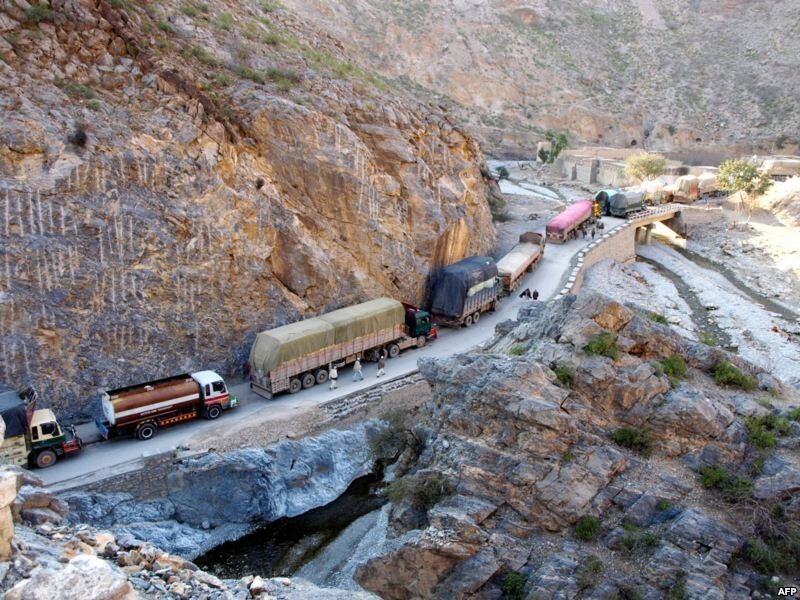 Only a day before the attack on the tankers, an effort by a U.S. Army colonel to expedite border clearances for military transports at Torkham failed when the chief Pakistani customs official refused to meet with her (Daily Times, March 19). Vehicles typically wait in parking lots at Torkham for up to 20 days awaiting clearance to proceed. Part of the problem is due to delays in permits faxed to Torkham from the U.S. base in Bagram—until these are received the vehicles are forbidden to cross into Afghanistan (Daily Times, March 27). There are also accusations that some tanker operators may be selling their fuel along the road in Pakistan before deliberately torching their vehicles at Torkham to claim the insurance on the missing load. Torkham has also become a nearly unregulated transit point for legal and illegal migrants since the demolition of the border gate by the National Highway Authority of Pakistan two years ago. A series of meetings between Afghan and Pakistani officials—attended as well by NATO officials—have been unable to agree on the design and other details of a replacement gate. Smuggling and illegal crossings have spun out of control while tensions between the respective border authorities nearly erupted into open fighting in September 2006 (Daily Times, April 2). Pakistan’s reluctance to make a full commitment to intelligence sharing raises a number of difficult questions: Is the ISI still cooperating or even aiding the Afghan Taliban? Do the military and the intelligence services operate outside of political control? 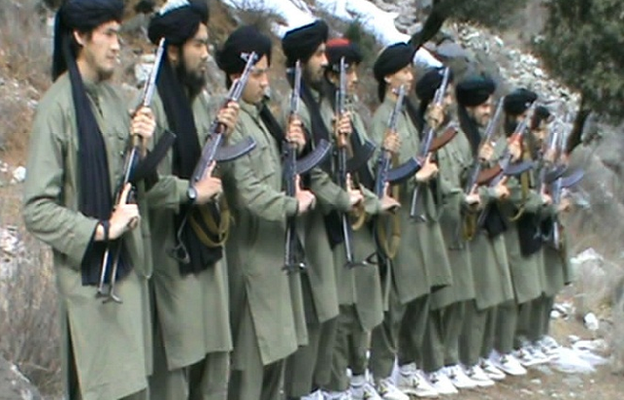 Is it possible to collaborate with the Taliban and not the Taliban’s allies, al-Qaeda? Why do the better-armed and -trained regular forces frequently relinquish their security role in the frontier regions to the poorly-equipped Pashtun Frontier Corps? After a meeting on security and terrorism issues with Chief of Army Staff Ashfaq Kayani on April 3, a spokesman for Prime Minister Gillani stated that the prime minister was formulating a comprehensive terrorism strategy “based on political engagement, economic development and backed by a credible military element” (Daily Times, April 3). Many within the new government believe that Musharraf’s aggressive military approach to the frontier crisis is responsible for the recent rash of suicide bombings and other attacks that have taken scores of lives across the country. Though an airstrike on a column of 23 vehicles was carried out on January 27 near Mt. 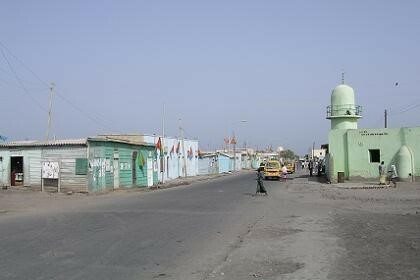 Alcanon, in the desert northwest of Port Sudan, news of the attack first emerged in a little-noticed interview carried on March 23 in the Arabic-language Al-Mustaqillah newspaper (see https://www.aberfoylesecurity.com/?p=1854). In the interview, Sudanese Transportation Minister Dr. Mabruk Mubarak Salim, the former leader of the Free Lions resistance movement in eastern Sudan, said that aircraft he believed to be French and American had attacked a column of vehicles in Sudan eastern desert after receiving intelligence indicating a group of arms smugglers was transporting arms to Gaza. Dr. Salim’s Free Lions Movement was based on the Rasha’ida Arabs of east Sudan, a nomadic group believed to control smuggling activities along the eastern Egypt-Sudan border. The first thought was that it was the Americans that did it. We contacted the Americans and they categorically denied they were involved… We are still trying to verify it. Most probably it involved Israel… We didn’t know about the first attack until after the second one. They were in an area close to the border with Egypt, a remote area, desert, with no towns, no people (Al-Jazeera, March 27). A Hamas leader, Salah al-Bardawil, denied his movement had any knowledge of such arms shipments, pointing to the lack of a common border between Gaza and Sudan as proof “these are false claims” (Al-Jazeera, March 27). Water, gasoline, spare parts and other supplies would take up considerable space in the trucks. Provisions would have to be made for securing and transporting the loads of disabled trucks that proved irreparable, particularly if their loads included parts for the Fajr-3 rockets the convoy was alleged to be carrying, without which the other loads might prove unusable. Freeing the trucks from sand (a problem worsened by carrying a heavy load of arms) and making repairs could add days to the trip. The alleged inclusion of Iranian members of the Revolutionary Guard in the convoy would be highly risky – if stopped by Egyptian security forces, every member of the arms convoy would be detained and interrogated (Israeli sources claimed several Iranians were killed in the raid). It would not take long to separate the Iranians from the Arabs, with all the consequences that would follow from the exposure of an Iranian intelligence operation on Egyptian soil. Video footage of the burned-out convoy was supplied to al-Jazeera by Sudanese intelligence sources. The footage shows only small pick-up trucks, largely unsuitable for transporting heavy arms payloads. If Fajr-3 missiles broken down into parts were included in the shipment, there would be little room for other arms (each Fajr-3 missile weighs at least 550 kilograms). Sudanese authorities described finding a quantity of ammunition, several C-4 and AK-47 rifles and a number of mobile phones used for communications by the smugglers. There was no mention of missile parts (El-Shorouk [Cairo], March 24). No evidence has been produced by any party to confirm the origin of the arms allegedly carried by the smugglers’ convoy. The entire operation, according to the Israeli sources used by Time, was planned in less than a week to act on Mossad information that Iran was planning to deliver 120 tons of arms and explosives to Gaza, “including anti-tank rockets and Fajr rockets with a 25 mile range” in a 23 truck convoy (though this shipment seems impossibly large for 23 pick-up trucks with a maximum payload capacity of one ton or less – on paved roads). The Israeli sources added that this was the first time the smuggling route through Sudan had been used. Israeli officials claimed anonymously that the convoy was carrying Fajr-3 rockets capable of reaching Tel Aviv (Sunday Times, March 29; Jerusalem Post, March 29). The Fajr-3 MLRS is basically an updated Katyusha rocket that loses accuracy as it approaches the limit of its 45km range and carries only a small warhead of conventional explosives. It has been suggested that the missiles carried by the convoy “could have changed the game in the conflict between Israel and Palestinian militants,” thus making the attack an imperative for Israel (BBC, March 26). Yet far from being “a game-changer,” the Fajr-3 was already used against Israel by Hezbollah in 2006. It has also been claimed that the Fajr-3 rockets could be used against Israel’s nuclear installation at Dimona, but Israeli officials reported at the start of the year that Hamas already possessed dozens of Fajr-3 rockets (Sunday Times, January 2). Some media accounts have confused the Fajr-3 Multiple Launch Rocket System (MLRS), which would seem to be the weapon in question, with the much larger Fajr-3 medium-range ballistic missile. Reports of the complete destruction of the entire convoy and all its personnel raise further questions. Desert convoys tend to be long, strung out affairs, not least because it is nearly impossible to drive in the dust of the vehicle ahead. Could an airstrike really kill every single person involved in a strung out convoy without a ground force going in to mop up? UAVs with heat sensors and night vision equipment might have remained in the area to eliminate all survivors, but this seems unnecessary if the arms had already been destroyed. 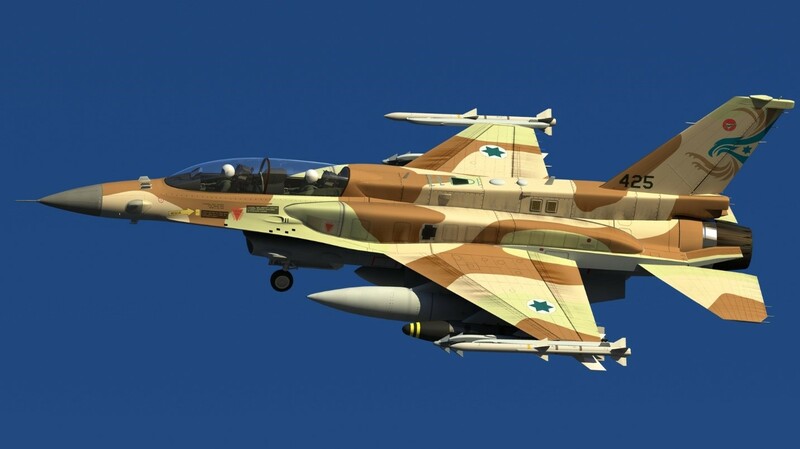 The political risk of leaving Israeli aircraft in the area after the conclusion of a successful attack would not equal the benefit of killing a few drivers and mechanics. What role did Khartoum play in these events? A pan-Arab daily reported that the United States warned the Sudanese government before the Israeli airstrike that a “third party” was monitoring the arms-smuggling route to Gaza and that such shipments needed to stop immediately (Al-Sharq al-Awsat, March 30). Despite state-level disagreements, U.S. and Sudanese intelligence agencies continue to enjoy a close relationship. Main Street in Assab: New Iranian Military Base? A short time later, another Eritrean opposition website elaborated on the original report of a refinery renovation, adding lurid details of Iranian ships and submarines deploying troops and long-range ballistic missiles at a new Iranian military base at Assab. 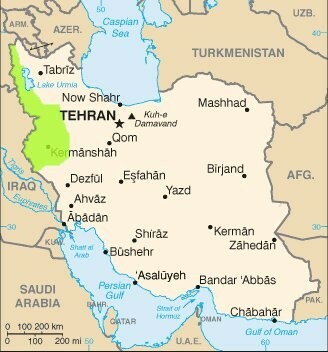 Security was allegedly provided by Iranian UAVs that patrolled the area (EritreaDaily.net, December 10, 2008). Only days ago, a mainstream Tel Aviv newspaper reported that Iran has already finished building a naval base at Assab and had “transferred to this base – by means of ships and submarines – troops, military equipment and long range-ballistic missiles… that can strike Israel.” The newspaper claimed its information was based on reports from Eritrean opposition members, diplomats and aid organizations, without giving any specifics (Ma’ariv [Tel Aviv], March 29). On March 19, Israel’s ambassador to Ethiopia accused Eritrea of trying to sabotage the peace process in the region by serving as a safe haven for terrorist groups (Walta Information Center [Addis Abbab], March 19). In only four months, a minor refinery renovation was transformed into a strategic threat to the entire Middle East. Questions remain as to how the moving convoy was found by its attackers. Did Mossad have inside intelligence? Did the Israelis use satellite imagery from U.S. surveillance satellites as part of the agreement they signed in January on the prevention of arms smuggling to Gaza, or did they use their own Ofeq-series surveillance satellites? Was an Israeli UAV already in place when the convoy left Port Sudan? A retired Israeli Air Force general, Yitzhak Ben-Israel, recognized the difficulty involved in finding and striking the convoy by noting; “The main innovation in the attack on Sudan… was the ability to hit a moving target at such a distance. The fact that Israel has the technical ability to do such a thing proves even more what we are capable of in Iran” (Haaretz, March 27).